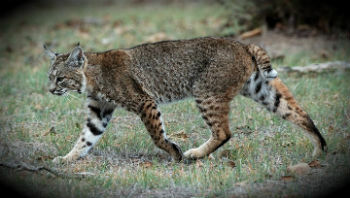 Illinois would halt bobcat hunting in most northern counties for two years to allow time for more scientific research about the animal’s population under legislation approved by the state Senate Monday, May 29. “I am pleased that we were able to work with DNR and the trappers to set aside time for collecting more information about the bobcat population in the northern part of the state. We have quite a bit of information about the animals in southern Illinois, but we would like to know more about their habits and movements up north,” Harmon said. House Bill 3399 places a two-year ban on bobcat hunting and trapping in most counties in the Northern Illinois Hunting Zone, except for counties in the west and northwest portion of Illinois along the Mississippi River. During the two-year ban, limits will be placed on the number of bobcats that can be taken in the Southern Zone and in the exempted counties. A maximum of 350 will be allowed during the 2017-2018 hunting season, and 375 will be allowed during the 2018-2019 season. The Illinois Department of Natural Resources issued 500 bobcat permits statewide during Illinois’ first bobcat hunting and trapping season since the 1970s, which ended Jan. 31. The top harvest counties were in the southern half of the state: Pike, Jackson, Jefferson, Carroll and Randolph counties. House Bill 3399 previously passed in the House and now goes to the governor’s desk. The most meaningful reform Gov. 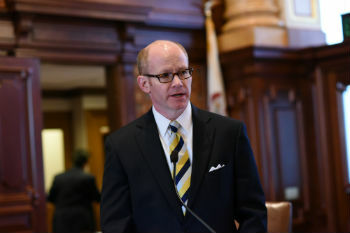 Bruce Rauner can sign into law after two years of gridlock in Springfield is a balanced budget, Senator Don Harmon (D-Oak Park) said today (May 29, 2017). Harmon elaborated on a series of reforms the Senate passed last week in conjunction with a balanced budget at the behest of Gov. Rauner and others to make the state more business friendly. The reforms include workers’ compensation reform, procurement reform, local government consolidation reform and school funding reform. 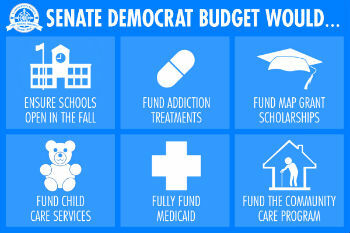 Senate Democrats also have indicated a willingness to enact a two-year property tax freeze. “Nobody likes property taxes. We’re proposing a freeze in property taxes. We’d like to hit the pause button so that we can implement state financial reforms and protect local property taxpayers from increase at the local level,” Harmon said. He noted that the Senate most recently enacted major reform of the state’s workers’ compensation system in 2011. We’re meeting the governor’s demands. When will he meet ours? 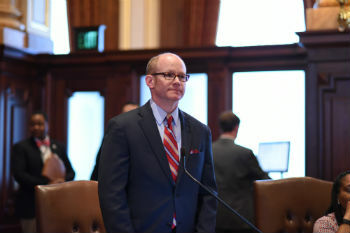 “Senate Democrats sent a strong message today that, while we are open to working our partners in the business community to reform the state’s workers’ compensation system, we are not willing to do so entirely on the backs of Illinois workers. We were able to identify sensible reforms on both sides of the equation – the employer side and the employee side – that will help to bring costs down without inflicting additional and unnecessary financial harm on injured workers.